Medical marijuana prescription vials are filled at a medical marijuana dispensary in the Venice Beach area of Los Angeles. On Wednesday, Dec. 6, 2017, the Los Angeles City Council is expected to consider a dense set of regulations that will dictate where pot can be grown and sold in the new market, along with how businesses will be licensed. LOS ANGELES (AP) — Los Angeles is in line to become the nation's largest city with legal recreational marijuana after the City Council voted Wednesday to license sales and cultivation next year. The landmark vote came after a hearing in which council members characterized the rules as a work in progress almost certain to see revisions next year, after California launches its recreational pot industry in January. City Council President Herb Wesson's office said the city rules would take effect immediately after the signature of Mayor Eric Garcetti, which is expected. "The other cities in this nation, they are looking to L.A.," said Wesson, predicting the city model would become a template for legalization elsewhere. Under the Los Angeles regulations, residential neighborhoods would be largely off-limits to pot businesses, and buffer zones would be set up around schools, libraries and parks. However, with the new year just weeks away — and the holidays coming — industry experts say it's not clear how many businesses, if any, will be ready to open their doors on Jan. 1 to hordes of anxious customers. 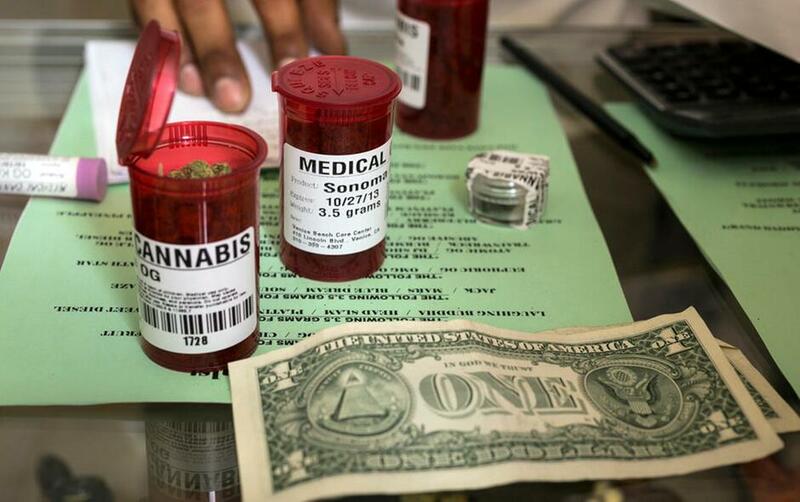 Medical marijuana has been legal in the state for two decades. The dense set of regulations passed Wednesday dictate where pot can be grown and sold in the new marketplace, along with how businesses will be licensed. Businesses that want to participate in the marketplace need local permits before they can apply for state licenses required to operate in 2018. The state and hundreds of cities are faced with the challenging task of trying to govern the vast, emerging industry with a projected value of $7 billion. Some places have banned all commercial pot activity, while other are embracing it. California is among 29 states where pot is legal, either for medical or recreational use. Los Angeles, home to 4 million people, has long been an unruly frontier in the pot industry, where hundreds of illegal dispensaries and cultivators proliferated. In the background is widespread uncertainty about whether the Trump administration will attempt to intervene in states where marijuana is legal. Because marijuana is illegal in the eyes of the federal government, many major banks are leery to do business with dispensaries and growers, so much of the business is conducted in cash.